Deborah Lydon is a litigation lawyer in Dinsmore's Cincinnati office. Debbie is known as a seasoned commercial litigator and health care attorney, representing clients in state and federal courts, arbitrations, and mediations, as well as transactional matters. She also has represented clients before state and federal regulatory agencies, by having broad experience in medico-legal matters generally. With a strong prior background of eight years in health care management, Debbie is sensitive to the complexities of the industry and brings her corporate insights to efficiently manage her clients' matters. Her clients have included The Procter & Gamble Company, Humana, LasikPlus, Cincinnati Children’s Hospital Medical Center, Franciscan Health System, HealthSouth, Shelter Insurance Companies, Riverhills Neuroscience, and numerous other healthcare providers. 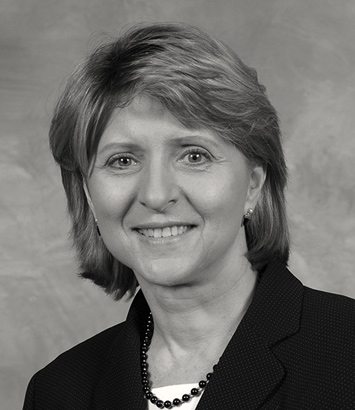 Outside the healthcare arena, she has served as trial counsel for entities such as Yamaha, Staffmark, and SST Bearing Corporation, as well as numerous individuals. Debbie has appeared in courts throughout Ohio and Kentucky, as well as California, Colorado, Florida, Iowa, Missouri, Nebraska, New York, Texas and Washington. Her cases have involved a broad spectrum of issues, including negligence, product liability, health care, fraud and abuse, qui tam allegations, breach of contract, defamation, fiduciary disputes, bankruptcy, antitrust, trade secrecy, indemnification, UCC transactions, and non-compete violations. She has served as the national Health Care practice group chair for ALFA International. She taught health law courses at the University of Cincinnati College of Law for 10 years, co-authored “The Law of Medical Practice in Ohio,” and authored numerous publications in the field of health law.